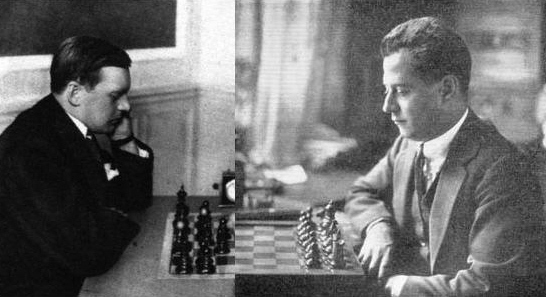 It has frequently been stated that this photograph of Alekhine and Capablanca was taken in 1927, but it is a demonstrable fake. The matter has been discussed in a series of C.N. items, and a digest of them (slightly edited) is presented below. 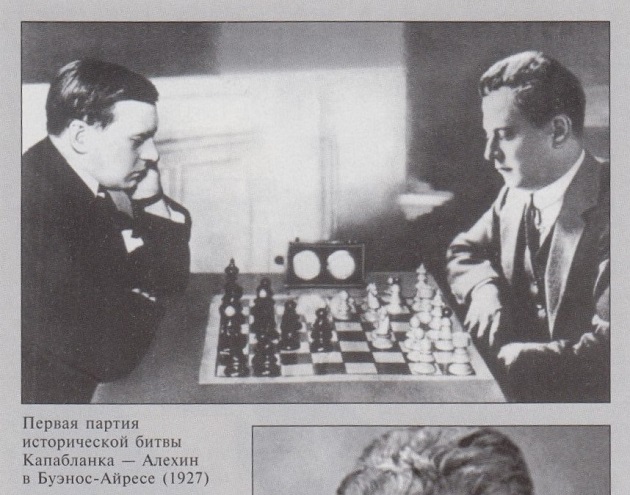 1) The photograph is to be found on, for example, page 165 of Aleksandr Alekhin - nepobezhdennyi chempion by Y.N. 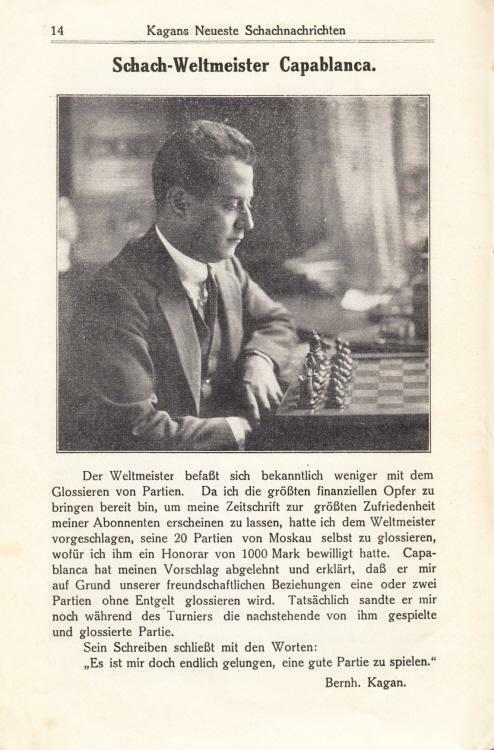 Shaburov (Moscow, 1992), page 164 of Das Schachgenie Aljechin by I. and W. Linder (Berlin, 1992) and in editions of volume one in Kasparov’s Predecessors series which have illustrations (e.g. 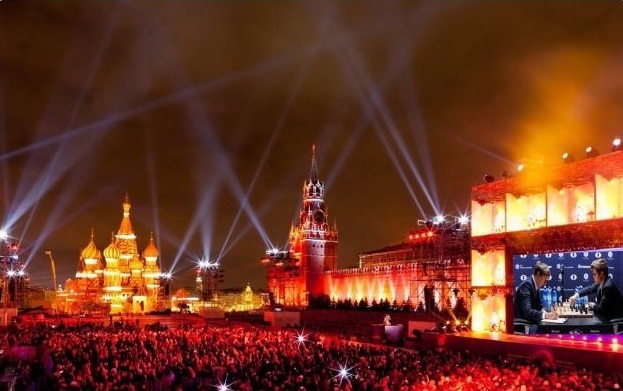 the Russian and Italian versions). 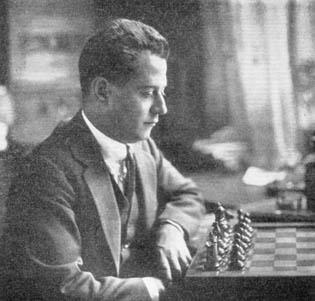 It will be noted that the board, pieces, clock and background correspond to those in the Alekhine-Capablanca photograph. 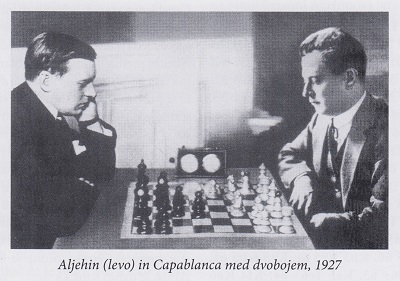 5) In view of the foregoing we believe that the Alekhine-Capablanca photograph must indeed be regarded as a montage. 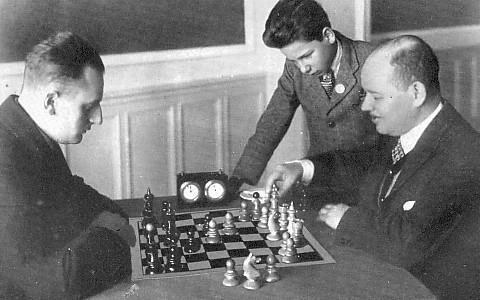 The caption asserts that the photograph was taken on the first day of the match. 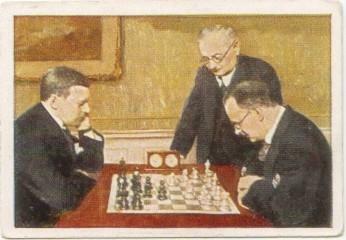 It was given on page 267 of the December 1927 issue of the Swedish magazine Schackvärlden. 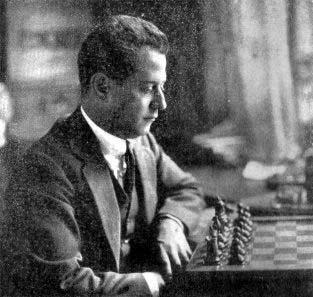 The Capablanca part of the photograph is recognizable as coming from a shot of him with Emanuel Lasker (in Moscow in 1925). See, for instance, the picture section of the Dover reprint of the New York, 1924 tournament book. For some reason the manipulator altered the position and depicted the board the wrong way round. Concerning the Moscow, 1925 photograph, see too C.N. 10726. C.N. 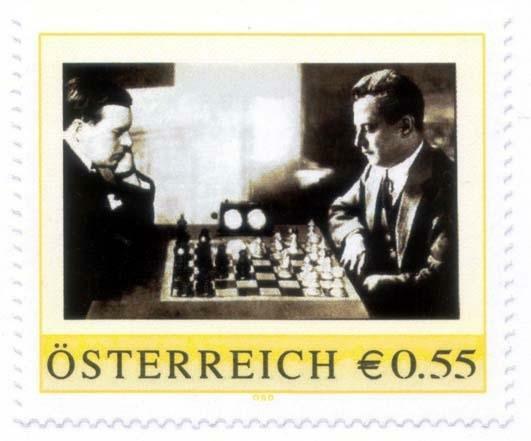 4694 mentioned that the Alekhine part of the above tobacco card is a familiar photograph of Alekhine to be found on, for instance, page 72 of Schach – ernst und heiter by Rolf Voland (Berlin, 1981), but we have yet to find the full Alekhine-Nimzowitsch photograph. 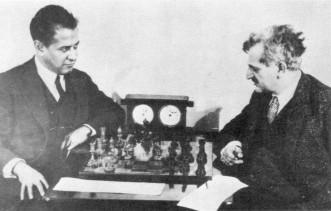 The main unresolved point in this affair is how the fake Alekhine-Capablanca photograph originated. 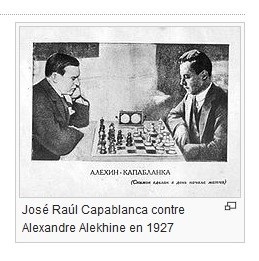 The fake photograph of Alekhine and Capablanca continues to be disseminated unquestioningly. 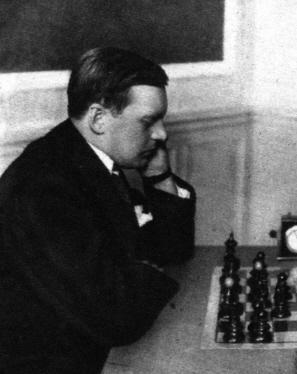 It was on prominent display at the 2013 Alekhine Memorial Tournament and is on page 250 of Alekhine’s My Best Games of Chess 1908-1937 (Milford, 2013). 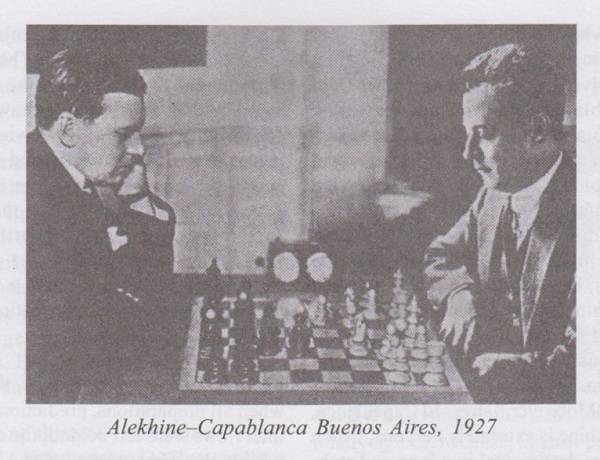 We summarize, firstly, what has been established so far regarding the fake Alekhine-Capablanca photograph, supposedly taken during the 1927 world championship match in Buenos Aires. 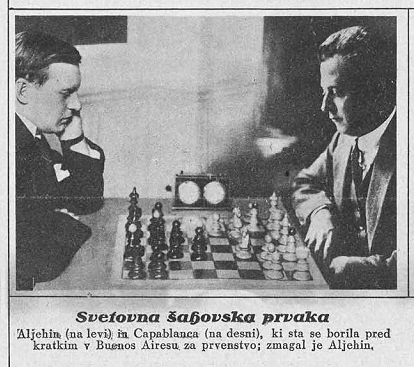 The shot of Alekhine was taken at Semmering, 1926 and was published on page 8 of Wiener Bilder, 28 March 1926 (C.N. 7971). 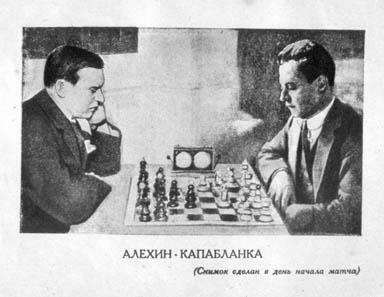 When the fake photograph appeared in the book on the 1927 world title match edited by Alekhine’s brother, Alexei, i.e. 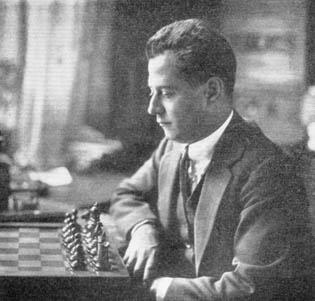 Match na pervenstvo mira Alekhin-Capablanca (Kharkov, 1927), it was described as taken on the first day of the match. 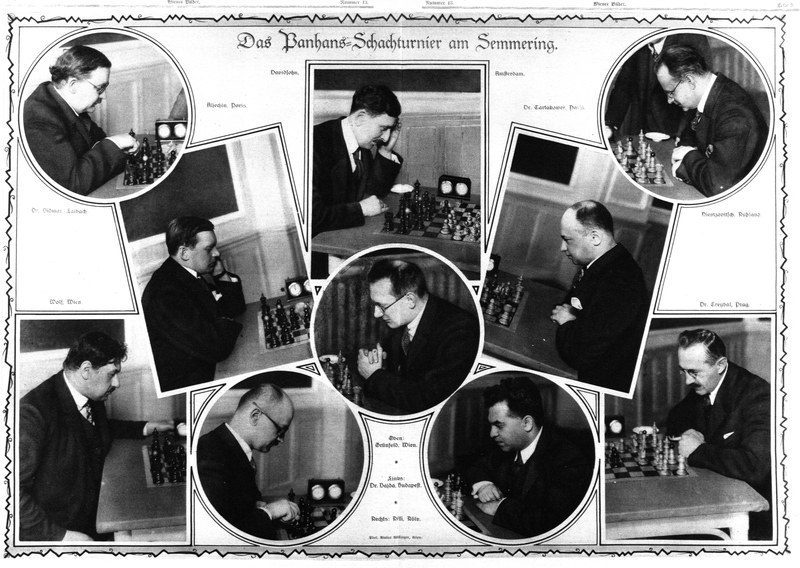 To date, that has been the earliest known publication of the picture. Luc Winants (Boirs, Belgium) adds that the photograph appeared in various Dutch newspapers shortly after the world championship match ended, e.g. 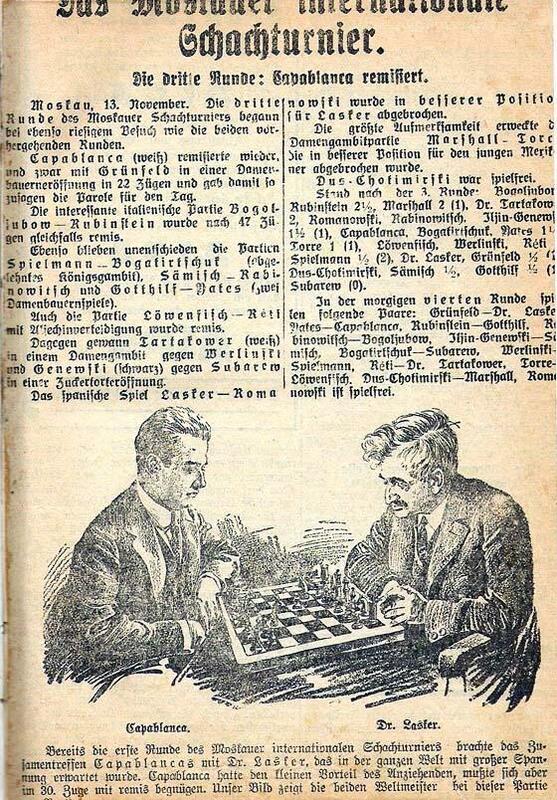 in the 6 December 1927 issues of Het Centrum and the Nieuwe Tilburgsche Courant. 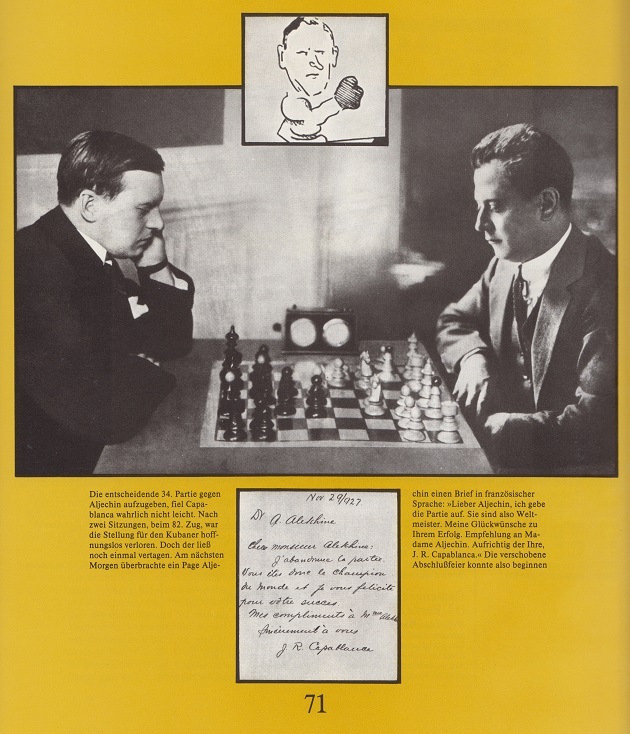 Our feature article on the picture mentions that it was used too on page 164 of the Linders’ Das Schachgenie Aljechin (Berlin, 1992). 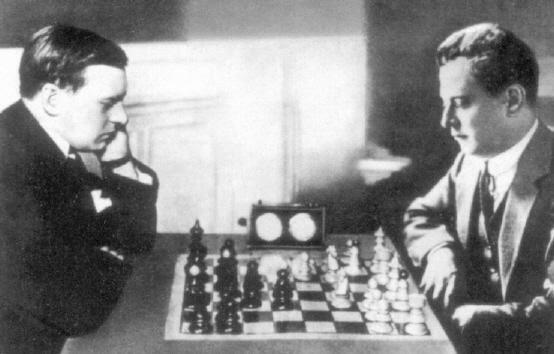 It is also in the Russian editions of their Alekhine monograph (Moscow, 1992, page 159, and Moscow, 2006, page 171). 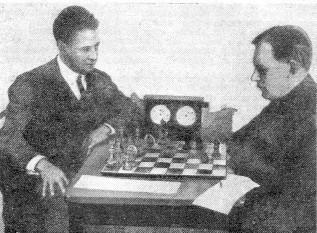 Furthermore, it was in their Russian books on Capablanca (Moscow, 2005, page 128, and Moscow, 2011, page 155). 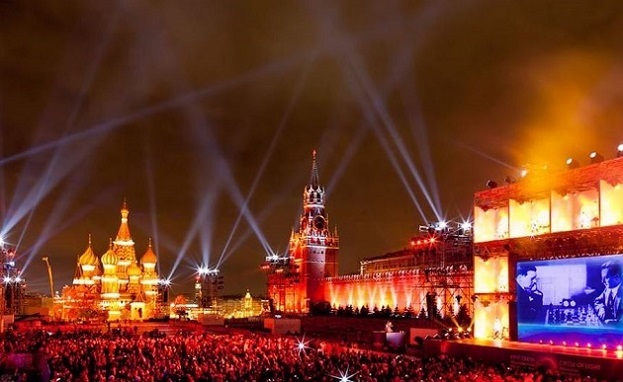 ‘This picture, which originated on an anonymous Twitter account on 30 November 2016, has been widely published on the Internet, and notably in a Huffington Post article the following day. 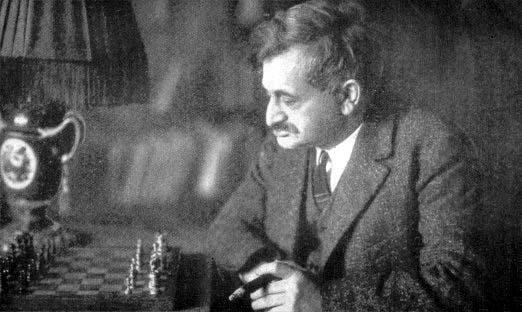 Hoaxers exploit ignorance, haste, laziness and wishful thinking, which makes the chess world a natural target. Latest update: 1 March 2018.